We can’t say it enough. 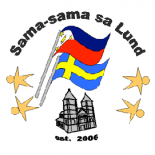 THANK YOU VERY MUCH to everyone who helped us, in one way or another, throughout all our fundraising efforts for the Sama-sama Sa Lund Haiyan Rebuilding Project. Although we have mentioned it earlier here in our website, we just want to present more details and pictures about where your donations went. Your help surely made a difference in people’s lives. For direct channels, part of the Haiyan Fund was donated to some SSL members’ affected families back home who greatly needed relief aid. Six households were helped, each receiving 10.000 Php to help rebuild their houses. For indirect channels, SSL helped fund a medical mission by Mission Kayang Kayang in Iloilo (SSL members Mary-bell and Julie Heideman helped organize this relief effort). 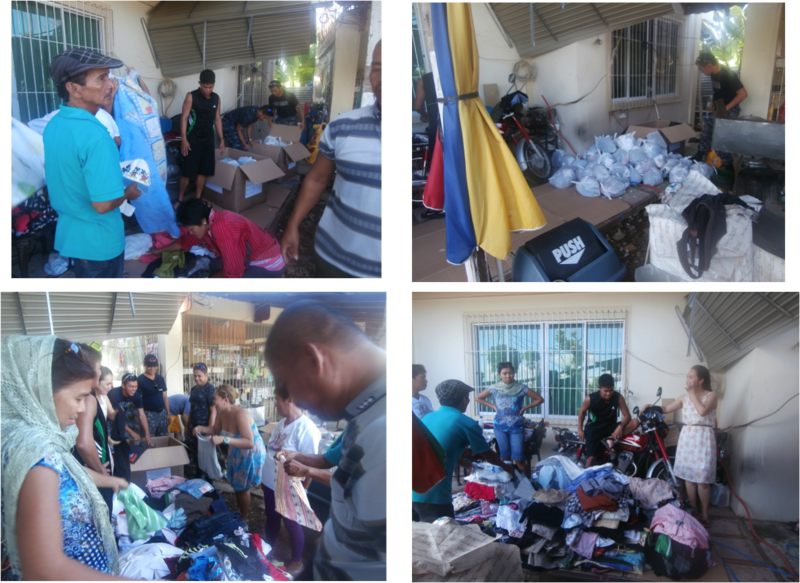 SSL also collected clothes that we later sent and distributed to Tanauan, Leyte; the shipping costs were covered by part of the SSL Haiyan fund, as well as additional donation by SSL member Patrik Rosen. SSL members Maria Quijano and Patrik Rosen personally visited Barangay Pago in Tanauan, Leyte to survey the affected areas, talk to locals, and manage the distribution of donations with the help of a local team of coastguards. They distributed the donated clothes to 171 households. They also distributed metal roofings that were purchased with the remainder of the SSL Haiyan Fund (50.000 Php) and Mr. Rosen’s donation (17.000 Php). 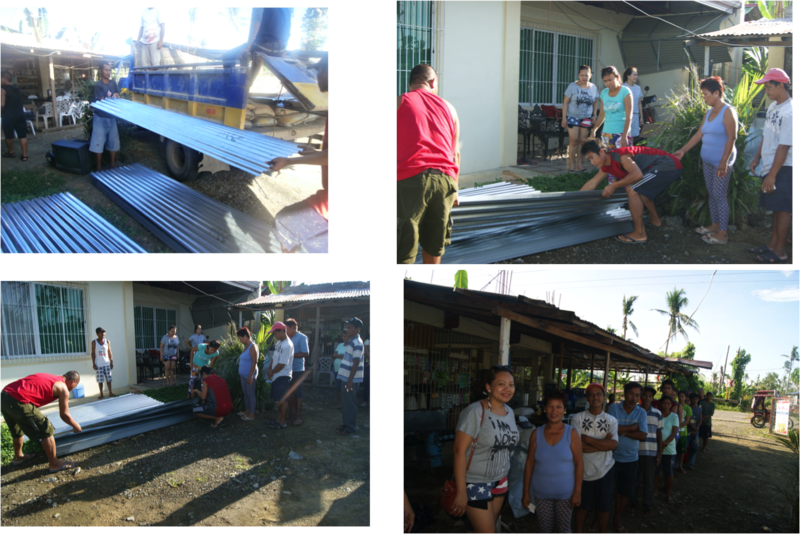 With this, we were able to give metal roofings to 20 households in the barangay. Here are pictures from Maria and Patrik’s visit to Barangay Pago. After their visit, we have learned that help is clearly still needed by many families. Some are still living in makeshift tents, a year since the tragedy has struck. There were affected areas that did not even receive any form of relief aid at all. SSL have decided that we want to continue helping them, for as long as we can. Our proposal is to continue fundraising efforts to be able to provide financial assistance to those who still need to rebuild their houses, as well as to support or contribute to the startup of sustainable livelihood projects in the area. If you want to help us in our fundraising efforts, please contact any SSL board member, visit Sari-Sari Store in Lund, or you can also donate directly to the SSL bank account (details here). This entry was posted on November 12, 2014 by Sama-sama Sa Lund in Haiyan and tagged haiyan, leyte, philippines, yolanda.